Miya George is an Indian film actress, model, and dancer who is known for her works in Malayalam cinema and also acted in Tamil and Telugu films. Started her career as a model, Miya appeared in TV shows and then did small roles films before her major breakthrough with the film “Navagatharkku Swagatham”. She has since then appeared in a number of movies in South Indian cinema. Miya George was born on 28 January 1992, in Dombivli, Mumbai, Maharashtra, India. Miya attended Sacred Heart Girls High School and then St. Mary’s Higher Secondary School, Bharananganam. Later, she enrolled at the Pala Alphonsa College from where she graduated with her B.A. degree and did her Masters in English Literature at St. Thomas College, Pala. 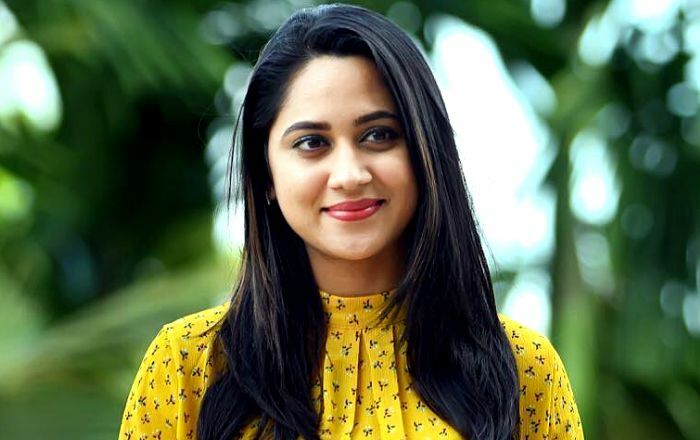 Miya George is very reluctant to talk about her private life on public forms that makes difficult for us to find anything about her love life and dating history either. Miya George started her film career in the year 2010 with the Malayalam movie Oru Small Family, directed by Rajasenan, in which she did a minor role. Her first landing role as a lead actress was with the 2012 Malayalam film Navagatharkku Swagatham for her role as Elsa. She first appeared in a daily soap Alphonsamma and then starred in Kunjali Marakkar, both aired on Asianet. She also appeared as Judge in the Comedy Stars season 2 and also a mentor in the TV show Malayali Veettamma . Miya George has appeared in a number of TV commercials for brands like Hyundai and other many local fashion brands as well as print ads. There are not much-known details about her net worth, however, she is one of the top earning actresses in Malayalam cinema. She resides with her family in ‎Pala‎, ‎Kottayam, Kerala‎. In 2012, she was crowned Kerala Miss Fitness. She has appeared in a music video titled ‘Final Over’ in 2016. She has worked in Malayalam, Tamil, and Telugu film industries. Her parents have Malayal ancestry. Some of her notable films include Memories, Indru Netru Naalai, Anarkali, Pavada, Hi I’m Tony, The Great Father, Thottavadi, Bobby, Sherlock Toms, and Kozhi Thankachan.